The LEAD Center, Ltd. is a private therapeutic day school that serves 5 to 21-year-old students with cognitive and emotional disabilities who live in central Virginia. The LEAD Center, Ltd. provides students in our care with the tools necessary to develop to his or her greatest capacity, to be able to independently take care of him/herself, and to become a reliable member of society. Successful and timely transition to the public school is the ultimate goal of The LEAD Center, Ltd. Faculty and staff at The LEAD Center, Ltd. recognize the potential of each student by providing an environment that nurtures the development of positive self-esteem and independence. We focus on each student’s personal strengths and develop individualized academic and behavioral programs to successfully meet long and short-term goals. In order to achieve success, we use a team approach based on consistency, predictability, family involvement, ABA practices, alternatives to regular education, and community. Our team focuses on students’ personal strengths while leveraging both academic and behavioral management in a positive way. The LEAD Center, Ltd. aims to provide an alternative educational setting that is designed to be creative and individualized for each student, while preparing them for life and community. At the same time, we hope to develop a program of education that is accessible, consistent, adaptable, marketable, and reproducible anywhere. 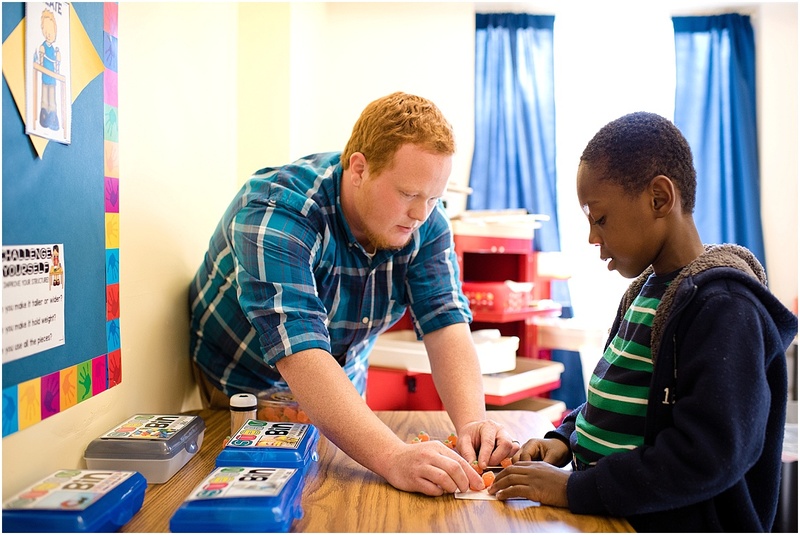 The Center is committed to offering superior special education services by utilizing our collective expertise in education, behavior management, and technology. Every child has the ability to learn and develop in a positive way. 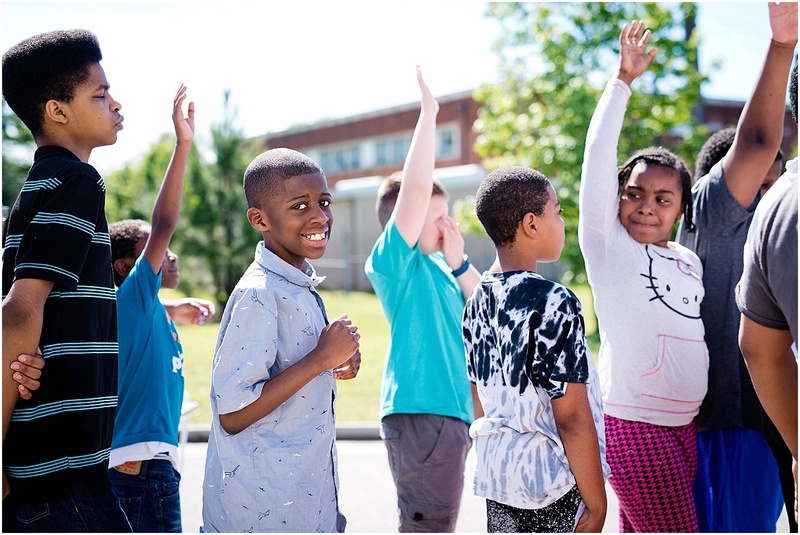 We recognize the potential of each individual by providing an environment that nurtures the development of positive self-esteem and independence. When you walk into the LEAD Center you can expect to be greeted by our friendly front office staff. We strive to create an environment that is warm, welcoming, and comfortable for all who enter the doors of our school. We hope that when you walk through the school, you can feel the compassion, hope, and commitment that we have to our purpose at LEAD. We have a team of individuals that are more than staff–they are family. We recognize that some students require different levels and different forms of intervention, so you will see staff from all over the school working with students during behavioral events. There is a shared responsibility for student success at LEAD. Our core values at LEAD are to Create, Connect, and Challenge. These three words are at the center of every interaction with our students. Our second core value is connection. 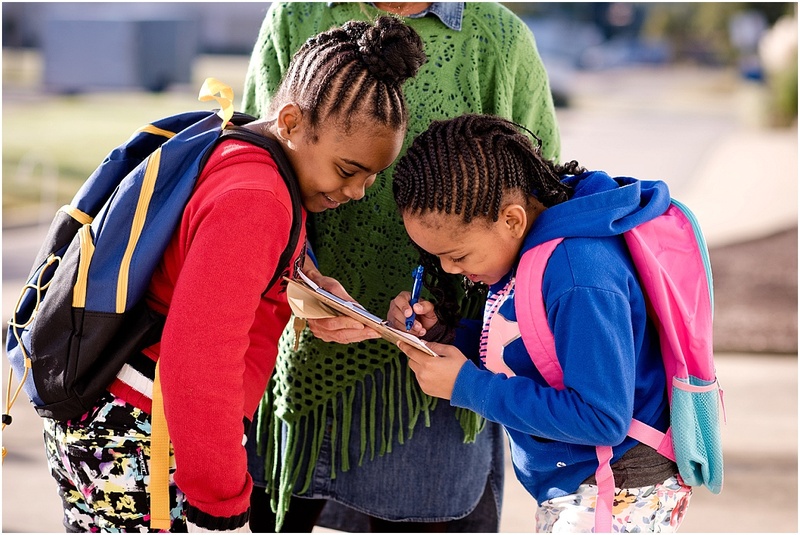 We connect by partnering with families and the community to link our students to positive influences and resources, and we connect daily with students using verbal interventions that positively change their thought processes for future events. Our third core value is challenge. We challenge students to see that their current circumstances (which include school, home, and community) do not determine their future circumstances. Our desire is to challenge our students academically and behaviorally to see their potential and open their eyes to the vast array of options that are available to them. 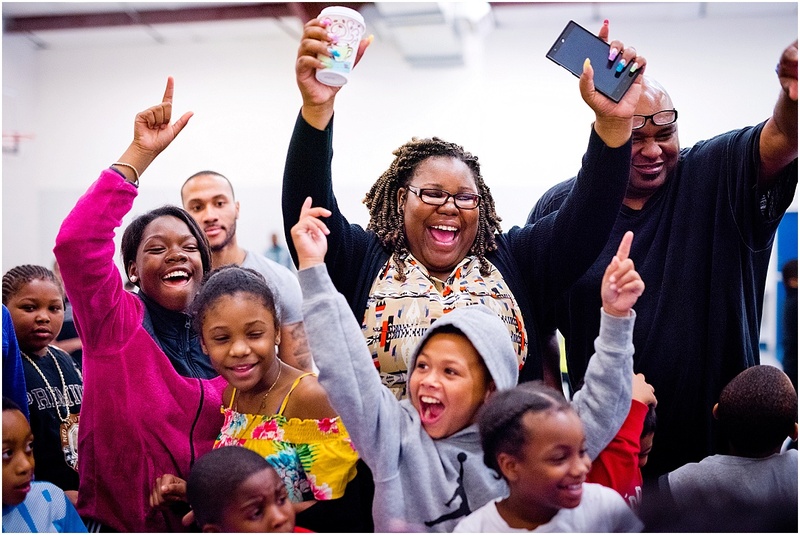 We have another core value that permeates all that we do: CELEBRATION! We love to celebrate student success, student growth, birthdays, staff successes, or anything really! We just love to have a good time and cheer on our students and LEAD team members. 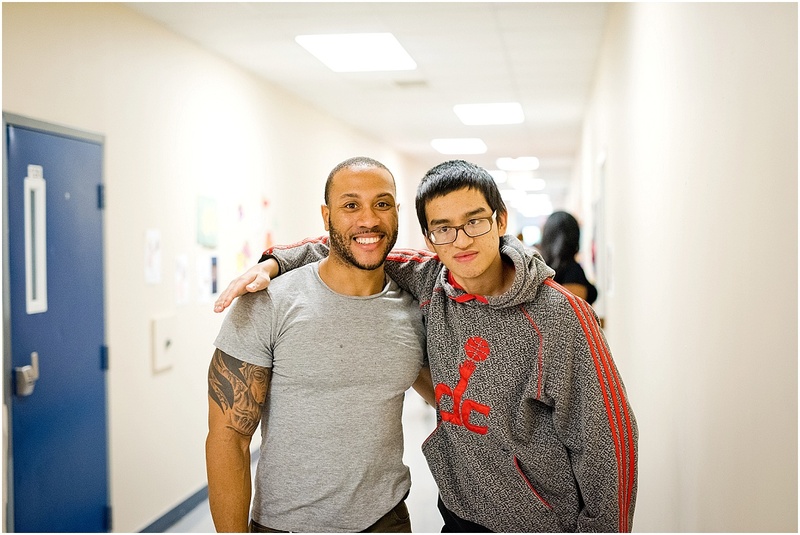 We realize that our students come from diverse backgrounds and have unique learning styles or interests. We work diligently to create meaningful, relevant, and engaging activities for our students so that they get the maximum benefit from their education while enrolled at The LEAD Center. Our curriculum is driven by the Virginia Department of Education’s SOLs and ASOLs as well as by the students’ IEP goals. Students receive grade level and ability level work as outlined by their transcripts and IEP. They participate in a rigorous curriculum and are given needed and documented accommodations to access that curriculum. The teaching staff at The LEAD Center, Ltd. are trained to utilize a variety of curriculum materials to support learning in the classroom. Teachers are encouraged to use state approved text books and supporting materials, apps on the classroom iPads, on-line resources, hand-on materials, and multi-sensory strategies in the classroom. See some field trips from this year and previous years – click here. We realize that students who require educational services at the Therapeutic Day school level generally do not learn well in large groups. We have staffed our programs and designed our school building around small group instruction. Students participate in learning centers throughout the school day where they receive instruction in groups of 4-6 students. In our elementary level programs, we strive for learning groups that are no larger than 3-4 students. Inside of our learning centers, students will be exposed to a multi-sensory curriculum. We want students to fully engage and fully experience their curriculum. Research has shown that when teachers are able to engage all five senses, there is a significant increase in understanding and comprehension. By engaging all five senses, we are capturing the students’ attention in their dominant learning style. At LEAD we understand the statistics behind student reading ability and future outcomes. We also take reading very seriously at LEAD, knowing that the ability to read creates infinite possibilities for each individual. In 2013, we adopted Orton-Gillingham as the primary phonics and writing instruction in our programs. Our students receive pre- and post- assessments to determine their level of need. Our strength is in our personnel. They are the biggest part of the success of The LEAD Center. Each one brings passion, commitment to excellence, and life experiences that enhance the student experience at LEAD. The professional staff at The LEAD Center, Ltd. consists of collegiate and master’s level teachers with appropriate endorsements as required by the VA Department of Education. 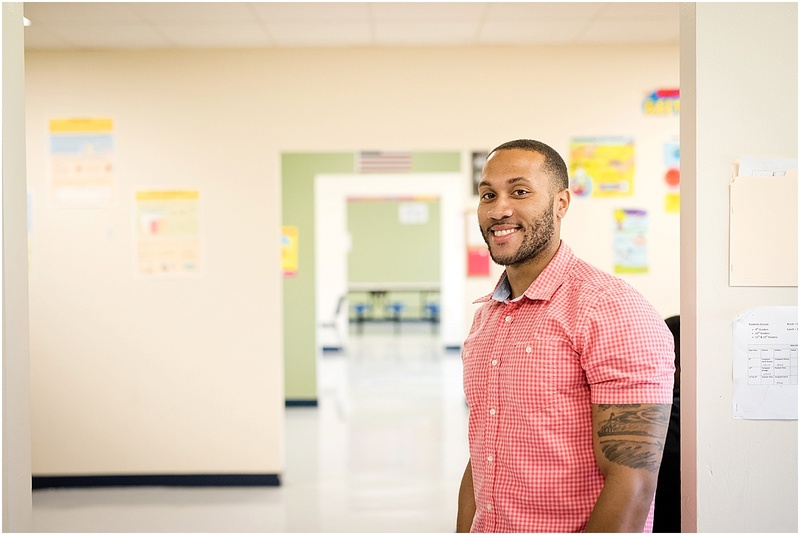 Support staff with college background and considerable experience are assigned to each class and assist with instruction and the implementation of behavioral programs. The LEAD Center currently uses the Institute for Multi-Sensory Education’s (IMSE) method for teaching reading. This program is derived from the foundation of Orton-Gillingham concepts. All LEAD staff receive training from administration that adequately describes the way to teach children how to read using the strategies from IMSE. Students in grades K through 5 receive the Brigance assessment in the fall and spring. This comprehensive assessment is used to help determine the areas of strength and weakness for each student and is used to guide instruction in the classroom. This assessment can also be given to older students that are demonstrating significant deficits in reading and/or Math. All staff are trained to contribute to the program academically and behaviorally. The teacher of record in each program will allocate staff based on the lesson plan and student specific needs. We also have behavioral support and academic support personnel that participate in the classrooms on a daily basis. The three directors also play an active role in the classroom to support students and staff academically and behaviorally. Enrollments, transitions, and discharges often occur, but the ratios mentioned above are maintained through staff reassignment and hiring new team members. Our staff are trained to engage with students using therapeutic approaches. We believe in the power of consistent affirmation, encouragement, and redirection. Our behavioral program consists of verbal and environmental intervention methods based on classroom specific and school-wide programmatic approaches. We believe that the environment often dictates expectations, so we strive to create a friendly, comfortable, and welcoming atmosphere for each student. The classrooms are designed and decorated to promote learning and inspire. Our staff use words and phrases with students that are thought provoking, encouraging, and consistent. We also encourage staff from throughout the building to interact with any or all students throughout the building to develop rapport and trust. We have adopted portions of the Life Space Crisis Intervention program. Staff are trained and instructed to identify different types of student behaviors and respond accordingly. The verbal intervention skills that are developed in our staff from the beginning of their employment are the keys to deescalating behaviors, avoiding cyclical behaviors, and teaching students to see their role in positive and negative situations in real-time events. Students are able to earn access to ‘club time’ that is offered each Friday. Students who reach the criteria set (attendance, participation, and behavioral expectations) are able to participate in fun activities and clubs, such as: Gym Club, Art Club, Movie Club, Computer Club, and Hair Cutting club. Students are encouraged throughout the week to sign up for a club that they would like to work toward, and they receive praise and redirection throughout the week to stay on track. A social skills and life skills program is utilized in each program to facilitate the students’ social and emotional growth. 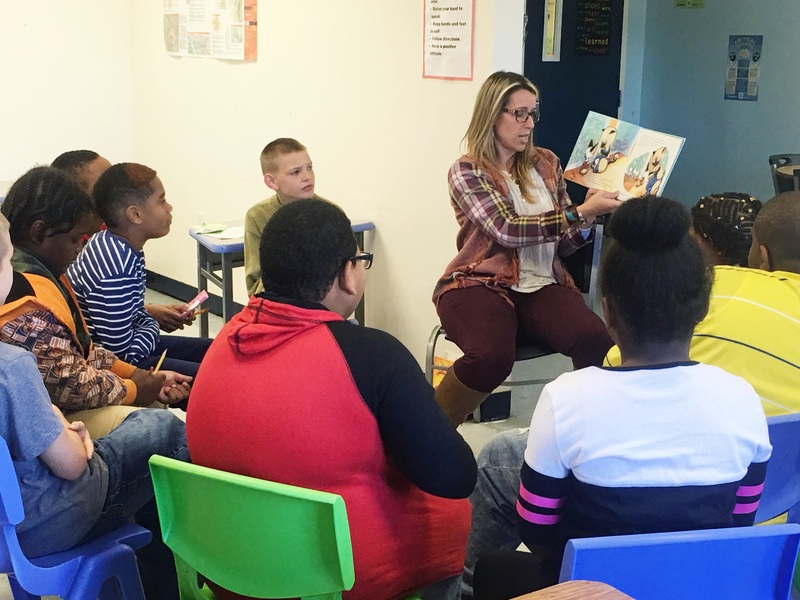 Classroom and behavioral staff work with students to improve communication skills, self-regulation skills, daily living and functional skills. 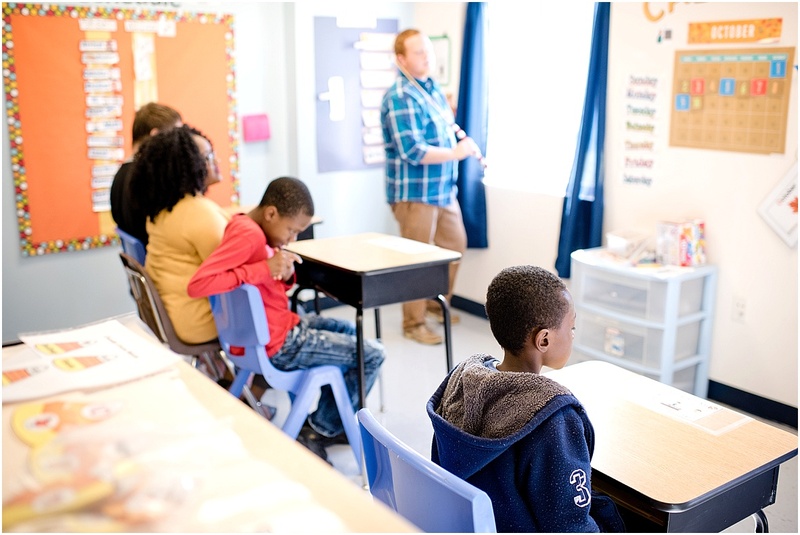 Once the school atmosphere is developed and established in each classroom for the student, we implement a consistent behavioral approach using ABA principles in all programs. We use the following hierarchy of interventions in all classroom throughout the building. Staff are trained to follow these steps to intervene with a student in the classroom. Using this leveled intervention system, we are typically able to redirect the student so that they can remain in the classroom and receive their instruction. If the student is not responding to the verbal intervention from staff, then there are 3 more possible levels of intervention. We attempt to avoid these steps because they are more restrictive and typically mean that they student misses time from their academic program. If the student has not been able to deescalate despite the staffs interventions (1 – 6) and they have become a danger to themselves or others in the classroom the following levels of intervention may be used. We collect data on each student daily. We observe each student in their academic environment and note the number of times that staff have to intervene with the student. We further indicate why the staff had to intervene with the student. 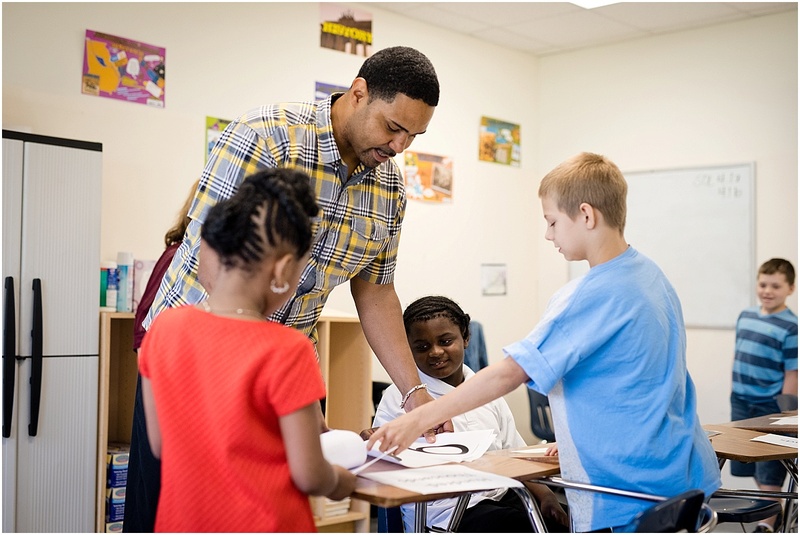 The numerical data that we collect on each student helps paint a picture of which behaviors are causing the largest negative impact on their growth and helps us identify where to apply resources to help the student in the future. The numerical data also helps us quickly note the number or times that student receives verbal intervention throughout the school day so that we can determine if he/she is ready to return to public school. Our interventions are a systematic approach to redirect behaviors and give the student the tools needed to manage future situations that cause a negative response.